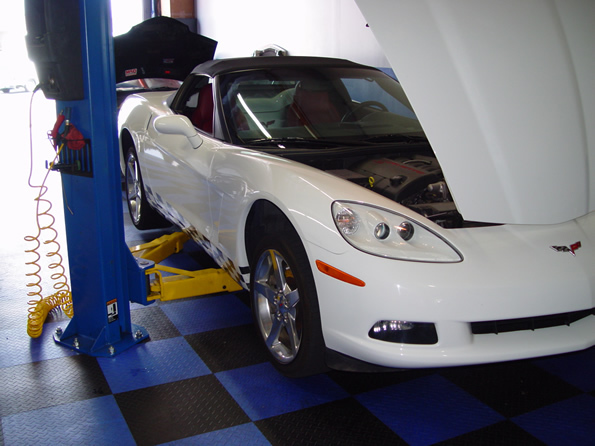 C6 Corvette Convertible Stage 1 Performance Package. Russell came to us to take advantage of our stage 1 performance package, complete with custom tune with a cold air system. He was also concerned about the differential weakness in the '05 C6's so we added a differential brace to eliminate the problem.